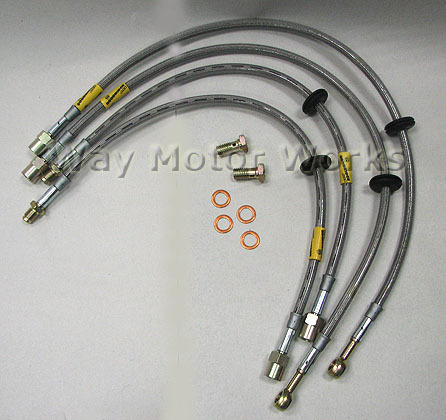 Goodridge Stainless Steel Brake Lines for R50 R52 R53 MINI Cooper and Cooper S. These lines replace the stock rubber lines that flex during hard braking. These will give you better brake feel and last longer. Lines come as a set of 4, enough for one MINI.